Christchurch City Council has selected SAP to reinvent its digital processes to create a better experience for its employees and citizens. The programme includes a complete digital transformation into the cloud, using SAP HANA Enterprise Cloud (HEC), as well as the SAP Customer Experience Citizen Engagement Accelerator, to provide tailored digital and citizen-centric services and interactions. Michael Day, finance systems transformation lead at Christchurch City Council, says Christchurch is known around the world for being a vibrant, adventure-filled and innovative city. But the Council was facing challenges in modernising the management of organisational information, technology and citizen experiences in line with the reputation of the city, says Day. “Over the past decade, Christchurch City Council has been focusing on re-energising its transformation programmes to become a modern, mobile and innovative organisation,” says Day. “As a long-term SAP customer, when we were looking to move to the cloud, SAP won out as the solution of choice. We knew this was a vital step in bringing Christchurch’s citizen and staff experience into the 21st century,” says Day, in a statement. 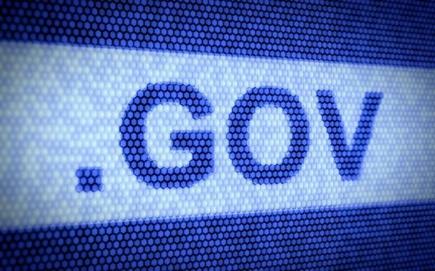 In addition to moving business processes to the cloud, the council wanted to streamline its back-office processes to integrate with tailored omni-channel experiences for its 380,000 citizens. The programme covers managing citizen requests across a range of issues including road repairs, graffiti removal and animal management. Receiving requests, issuing work orders and despatching field service teams to action the requests and provide feedback to citizens was a complex and manual process. With legacy systems in place across 11 different systems, integration was a challenge and made it difficult to mine, organise and action incoming data. The council was unable to automate actions, relying on manual data entry and email reporting. Since the SAP C/4HANA implementation of SAP Commerce Cloud and SAP Service Cloud, the council now has the ability to seamlessly manage requests from a variety of channels including mobile, and automatically generate work orders via its ERP system. Dana Burnett, My Council programme manager at Christchurch City Council, says a key focus was providing citizens with a range of communication channels to choose from when dealing with the Council. “With the deployment of SAP Customer Experience solutions, we’ve developed a digital interface for citizen engagement with the Council. Users can now pay for or log requests for services via the website or mobile application, using the integrated camera on a mobile device to capture an image of the issue such as a pothole,” says Burnett. This is the first step of a bigger transformation for Christchurch, as the council moves towards integrating its ERP systems with SAP S/4HANA to improve the efficiency and agility of the organisation. It is also deploying SAP SuccessFactors to improve and streamline its HR processes. “Our data-led strategy has already drastically improved our ability to develop future plans and make more strategic decisions so that we can achieve our vision of being truly citizen centric,” says Day. Scott Treller, executive general manager ANZ at SAP Customer Experience says, by moving to a “cloud first approach”, Christchurch City Council very rapidly improved the experience it provides to citizens. “By putting the citizen at the heart of its strategy, the council is able to prioritise tasks of higher value, rather than double-handling information and can now deliver two way, anytime, anywhere communication with its citizens,” says Treller. 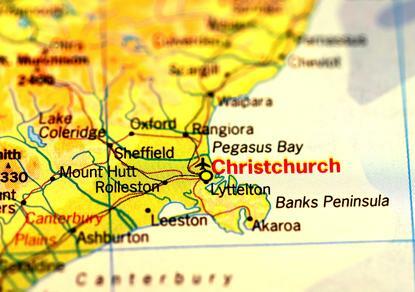 With the integration of SAP Service Cloud, SAP Commerce Cloud and Christchurch City Council’s Geographical Information Systems (GIS), a mapping tool, citizens can now drop pins on the exact location on a map when reporting an incident. This improves the accuracy of citizen requests and is helping the council plan for future environmental development. “The SAP technology integrated with GIS uses logic to recommend the most appropriate allocation of services and teams to action the problem,” says Burnett. “It also streamlines inbound requests and work orders by enabling our customer service representatives to identify duplication of reports. It can even enable customer service reps to predict where a graffiti artist may tag next based on a pattern of reports,” says Burnett.